Why do I have lower back pain when I sit too long? Why do I have pain when I lift my arm this way? HOW DO WE ACCOMPLISH THIS? FUNCTIONAL MOVEMENT SYSTEMS. Functional Movement Systems is revolutionizing gyms across the nation, and The Fitness Company is proud to be a licensed FMS gym. Why is FMS a crucial part of a solid workout plan? Two words: injury prevention. Too many people aspire to take their workouts to the next level without first establishing their fundamentals. This is a huge issue, because it is likely to result in injury. You can't lose weight, develop a healthy lifestyle or complete that race you've always dreamed of doing if you're injured. HERE AT THE FITNESS COMPANY, WE GO BEYOND THE TYPICAL TRAINER EDUCATION TO ANSWER THE "WHY?" AND FIND SOLUTIONS THAT WORK FOR YOU. 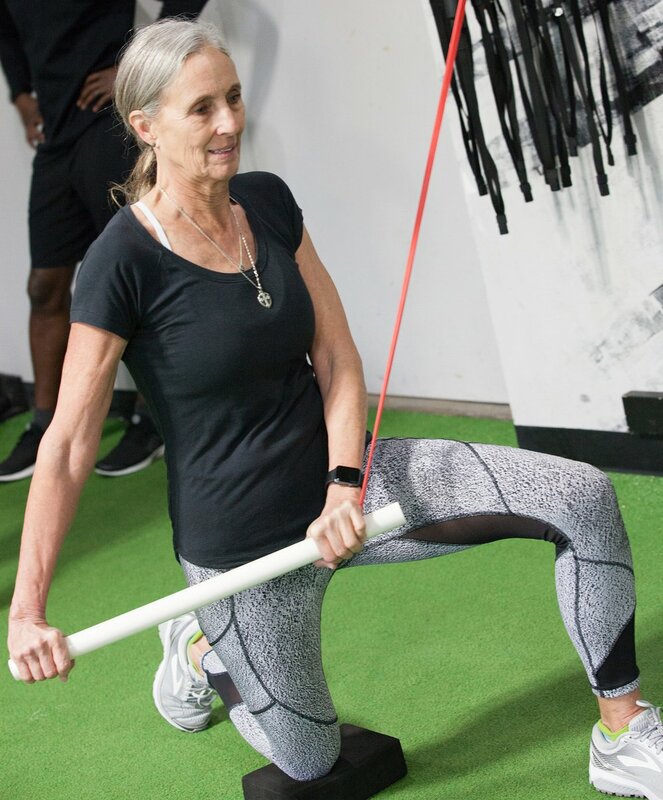 When combined with other forms of physical activity, FMS will elevate the performance of each client - regardless of your fitness level - all while preventing injury and pain. You don't have to take only our word for it; professional athletes in the NFL are swearing by this method, too. In their 2007 season, the Atlanta Falcons experienced seven season-terminating injuries. The next season, only one player suffered a minor injury. This change can be attributed to their new athletic performance director, who adopted FMS into the player's regime beginning in the 2008 season. FMS is the future of gyms and athletic programs across the world. Begin your FMS journey today with The Fitness Company. FMS IS A SERIES OF SEVEN FUNDAMENTAL MOVEMENT PATTERNS THAT WE USE TO ASSESS OUR CLIENTS ABILITIES.